The meeting was held at the Grace Lutheran Church on the Hill by the City-University Oversight Committee. It drew seven Boulder City Council members, various City board members, six student leaders, the Boulder city manager, the Boulder police chief, two CU vice-chancellors, other city and university officials, and many Hill neighborhood residents. The meeting was precipitated by the murder of Todd Walker on the Hill in the early morning of March 18. 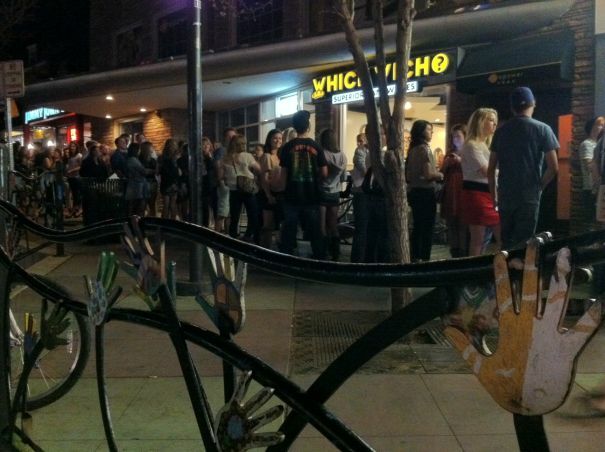 Boulder Police Chief Mark Beckner asserted that there seems to be no direct connection between a large, rowdy party at 1555 Broadway on the night of March 17 (which was eventually stopped by the police) and the murder. He also reported that only 3 of the 21 murders, including that of Jon Bennet Ramsey, that have occurred in the City of Boulder during the last 15 years have happened on the Hill. He said that the commercial district of the Hill is considered to be a dense crime area by the police, but that crime areas of roughly the same density exist in various other parts of the city. Maureen Rait, the city’s executive director of public works, commented that the March 17 party at 1555 Broadway “was pretty much of an anomaly.” Rait and other city and university staff members claimed that they have enjoyed success in reducing the number of large, raucous parties in recent years. Neighborhood residents generally seemed to agree with that assessment. Hill resident Bill Marine called for bars to be closed earlier than 2 a.m. City councilmember Lisa Morzel and others suggested that inducing bars and adjoining establishments to serve food would reduce drunkenness. City councilmember K.C. Becker questioned whether more students would congregate on campus weekend nights if additional activities were provided there. Anthony De La Rosa, chief of staff for the CU student government, said more campus activities on weekends would probably attract some students. But he asserted that the student government lacks the money to pay for weekend programs. He also added, “Kids want to roam off campus, anyway.” The students at the meeting did readily agree, though, that free or inexpensive food, wherever provided, is a magnet for college-age people. City Council member Crystal Gray advocated a proposal to buy a significant number of houses on the Hill for faculty members to occupy. One of its principal goals would be to have the professors exercise a restraining influence on the students living nearby. She called the proposal “Professorville on the Hill” and noted that it has been discussed for a number of years. Gibbons claimed that architect and fellow Hill resident Steven Walsh has investigated the “Professorville on the Hill” concept in depth and concluded that it will cost a lot of money, which does not seem to be available. Julie Wong, CU vice-chancellor for student affairs, said that the University maintains a keen interest in the proposal, but currently lacks the funds with which to implement it. Hill neighbor Jane Stoyva complained about the dim, flickering street lights on the Hill, which she said residents dub “crime lights.” Wilson said that he and former city police officer Molly Bernard had examined this problem several years ago and determined that the “day-night controllers” on a significant number of the lights are not operating properly. Several of the student leaders at the meeting agreed that the absence of adequate street lighting intensifies the often frightening atmosphere at night on the Hill and probably leads to more assaults. Wong noted that in the past year CU has instituted a voluntary system by which students can register their parties. Police chief Becker said that this system has been “very successful,” and Boulder police officer James Byfield noted that only two of the almost 200 parties which were registered had received tickets. Some Hill residents asked whether the system could be made mandatory, and another suggested that party hosts be informed when they register of the maximum number of guests which their venues can safely hold. Wong delivered a detailed report about CU’s efforts to provide more housing for students on the campus and also to educate them about acceptable behavior in the community. She said that through renovations of existing dormitories CU has increased “bed spaces” by 1,100. She also described a new dormitory complex on Baseline Road, “Willi Villi 2B,” that will house 500 students when it opens soon. She noted that all CU freshmen currently live on campus and asserted that the university is encouraging upper-classmen to remain on or return to campus by offering more and more attractive rooms, good and convenient food service, and other amenities. Wong also related that during and even before freshman orientation the university requires prospective students to participate in extensive programs on alcohol abuse, drug use, sexual assaults, and responsible behavior. Parents are also urged to take responsibility for their student-children’s behavior. Wong claimed that these programs had substantially reduced the number of violations by students of the university’s code of conduct. One of the student leaders at the meeting remarked that although the freshman orientation efforts are effective, “a better connection” to the university is needed when students move off-campus. Boulder police Hill commander Curt Johnson admitted that illegal fireworks were not adequately controlled on the Hill last summer. He claimed that the police are going to commit more officers to the suppression of illegal fireworks this year. Both the university and the city police said they always significantly augment law enforcement activity on the Hill during the last week of the spring semester. 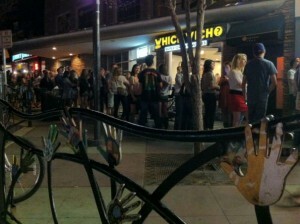 Nevertheless, some Hill residents complained that many bars open early during commencement weekend and even offer free or reduced price drinks, thereby encouraging rowdiness.